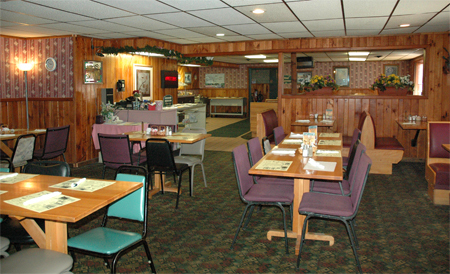 We welcome you and your family to visit the Zellar's Village Inn Restaurant of Newberry, MI. Our breakfast, lunch and dinner menus offer a wide variety of great dishes. We also have menu items for seniors, vegetarians, children and those with hearty appetites. We know that you will be delighted with our Upper Michigan Restaurant's culinary selections of home cooked food and fresh baked pies. Zellar's is open year-round and seven days a week. 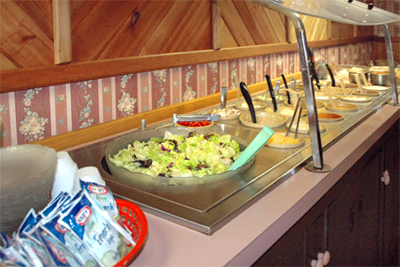 We also provide guests with catering, event, conference services, and welcome Upper Michigan bus tours. Our Zellar's staff is professional and pleasant. At Zellar's Village Inn, you'll find everything you need, "All Under One Roof". Each day of the week is special here at Zellar's Village Inn. Zellar's Upper Michigan Catering services can help you make your next event extra special. We provide our catering services for onsite and offsite events. We also have a great banquet/conference room for a number of different occasions. Zeller's welcomes Upper Michigan tour buses during any season. We can accommodate large groups touring through Michigan's Upper Peninsula. Come and take a great relaxing break with us. Click the button to the right to learn more about catering, events, conferences and bus tours. Let Zellar's Village Inn of Newberry, Michigan help make your next event extraordinary!